Step out of the city and into Kranji, where nature meets the city slicker desperately seeking to discover his inner green thumb. As city slickers, the attraction of orderly streets and the hustle and bustle of life moving at a fast pace form the backdrop of our lives. So, a short ride away, when you find yourself in the quiet of the country with narrow rods, makeshift paths and an evident lack of urbanisation, it can be disquieting. But after a while, you do get used to the quiet. Taking a quick look around Kranji, the area truly didn’t feel like Singapore. It was quiet, too quiet. The crowds I had grown accustomed to were suddenly gone, there were barely people wherever I walked and it really felt — for a brief moment in time — that I was out of the country. 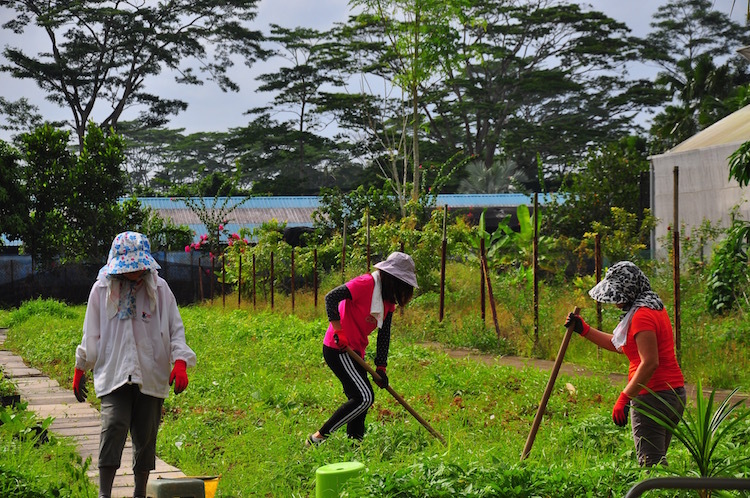 Untouched by the urbanised landscape we’ve come to know and love, Kranji rings the essence of a peaceful and untouched atmosphere accompanied by the lush greenery, farms and even the marshes that make up the area. A little more than a stone’s throw from the city, there’s a lot more than meets the eye in Singapore’s Mild West.